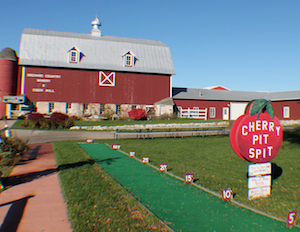 Door County is located in farm country, and its farmers’ markets are topnotch. Come sample sweet and tangy locally-made jellies, fruit butters, salsas and mustards, flakey, tart cherry strudel, sweet and cakey apple cider doughnuts, and melt-in-your-mouth fudge. You can stock up on frozen homemade pies and apple cider, freshly picked Honeycrisp and SweeTango apples and other seasonal produce. You will find fresh maple syrup and honey and Door County wines and vodkas as well as seasonal home decorations. Kids love the market’s outdoor pedal cart track, play set, hopscotch, large coloring mural, and free apple cider pops. Door County’s 3,776-acre state park offers year-round outdoor activities the whole family can enjoy. Swimming, fishing, hiking, and camping as well as bike, moped, and Segway rentals are available in the warmer months. Cross-country skiing and snowshoeing are enjoyed in the winter. The Washington Island Ferry Line departs daily from Northport Pier to visit the 7-mile-long Washington Island. 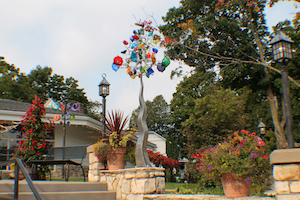 Visitors can enjoy shopping, dining, golfing, kayaking, fishing, hiking, and camping on the island, or can choose to continue on the ferry to nearby Rock Island State Park’s rustic campsites. Bring your car or rent a bike for a day trip, or stay even longer. Door County Trolley, Inc. offers 10 distinct tour options. Enjoy seasonal tours including the Winter Wonderland Tour, the Spring Blossom Tour, and Fall’s Ghost Tours of Door County, the Haunted Trolley Pub Crawl, and the Haunted Olde Sturgeon Bay Ghost Tour. Available year-round are the Scenic Narrated Tour, a Premium Wine Tour, the Lighthouse Trolley Tour, the Bloody Mary & Brunch Tour, and the Culinary Tour. You can’t get the full Door County experience without visiting at least one of its eight unique wineries. You’ll have the opportunity to sample a variety of Door County-made grape, cherry, and fruit wines to suit any palate. Visit Door County Wine Trail (http://doorcounty.com/dcvbmember.php?id=IL94991) to plan your route. Door Peninsula consists of nearly 300 miles of shoreline. Lighthouses were necessary in the19th and 20th centuries to help sailors navigate the rocky shoreline and islands. No longer in use, many of these lighthouses are open for guided tours or self-exploration. Visit Door County Maritime Museum & Lighthouse Preservation Society (http://www.dcmm.org/cana-island-lighthouse/door-county-lighthouses) for up-to-date information on and addresses of each lighthouse. 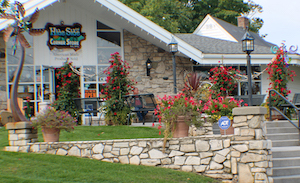 Each of Door County’s villages features a shopping district. Park the car and enjoy a leisurely afternoon with the local retailers. You’ll find clothing boutiques, jewelry stores, antique shops, arts and crafts shops, home goods, culinary accessories, and local ingredients. If you’re looking for a unique gift, Door County is the place to look. Soar through the treetops on a zip line, explore sea caves in the limestone bluffs on a kayak, paddleboard through the open waters, or cruise through a state park on a Segway or moped. Check out the links below to schedule your next adventure. 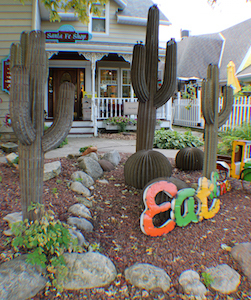 Door County is a crafters’ paradise with a variety of classes offered. Check out the links below to discover some of the wonderful studios available year-round. Door County is home to several museums. From the traditional Historical Museum to the nautical Maritime Museum, or an old schoolhouse that holds classes for adults, there is much to see.